One of the common questions I get about merino wool is, “don’t I have to dry clean that stuff?” To be honest that does depend on the type of wool product that you purchase, but these days, most fine/ultra fine merino wool products, especially those that are designed for athletic pursuits do not need to be dry clean. Here are a few tips for keeping you coveted merino product lasting longer and looking great. However, always check with your particular garment to make sure there aren’t any other specific guidelines for care. Where possible it is recommended to turn the garment inside out for laundering and to avoid bleaches and biological detergents, unless they are Woolmark approved. Like colours should be laundered together. 1. Dry clean only – some Merino wool garments should be taken to a reputable dry cleaner to ensure that the superior quality of this garment is well looked after. This is often more for sweaters and heavy weight wool products. 2. Hand wash – luke warm hand wash, using a gentle wool approved detergent and rinse well. Dry knitwear flat and line dry wovens. 3. 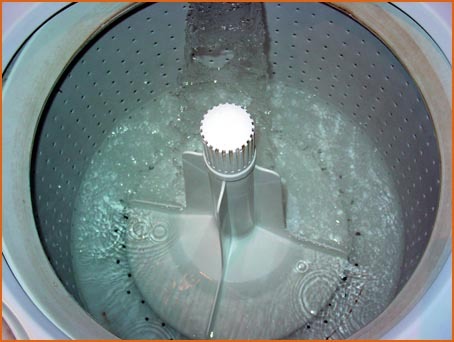 Machine washable – ideally wash on a wool or gentle cycle – if this is not available then put on a cold water gentle action wash. There are a number of detergent products that are designed specifically for washing wool, however, I have used cold water type detergents for years with no issues. 4. Total easy care – follow machine washable instructions, some wool garment can then be tumble dried on a low setting or delicate cycle. Although I don’t recommend tumble drying wool regardless of what the label states. * Hot water or a hot dryer will shrink wool. Even warm is too hot. * Friction will felt wool. (Meaning it will shrink and turn from a soft, woven, textured quality to a smoother, harder material: felt.) Heat and soap will increase the amount of felting. * In addition to ruining your wool garment, running wool items through the wash cycle of your machine can also damage the machine as wool fuzz can detach and felt up forming hard clumps inside the pump. If you want to felt something, do it inside a bag if you use the machine, or felt it by hand in the sink, tub, or a bucket. So, although there are some specific instructions to keeping your wool clean and lasting for years. Following the above instructions and those from the manufacturer will allow your prized merino wool apparel looking and feeling great for years to come. Please let me know if you have any questions. This entry was posted in General Merino Information and tagged care instructions, garment care, merino, merino woo, washing, wool. Bookmark the permalink. Good Question. Here is some info I found on prevention of pests. There are also herbal options to help prevent moths from destroying clothes. Merino sheep were introduced to Vermont in 1812.